Rhode Island Pride is celebrating its 41st annual PrideFest event to be held on South Water Street. 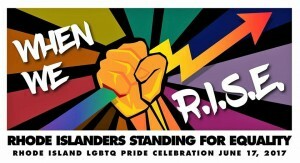 Under the theme “When We R.I.S.E” (Rhode Islanders Standing For Equality), the volunteer-run organization will hold its nationally acclaimed festival on Saturday, June 17 from Noon – 7pm with the illuminated night parade in downtown to follow. Each year offers a diverse blend of performers and entertainment, with this year showcasing many exciting additions and changes. The festival is proud to offer a heightened focus on local talent. 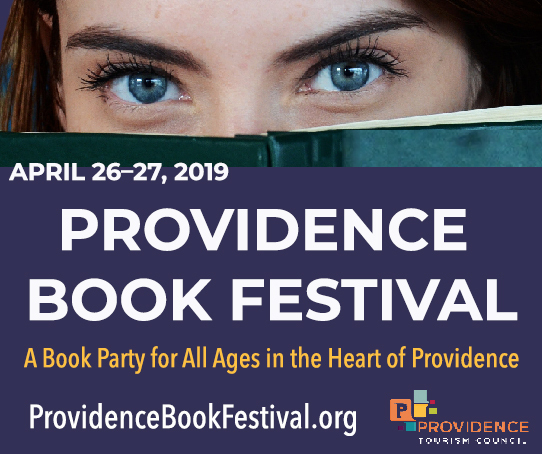 Providence and its surrounding area is filled with amazing performers who are both LGBTQ (lesbian, gay, bisexual, transgender,and queer) identified and friends of the community. While PrideFest has proudly showcased well-known acts from all over the globe, organizers saw this year as the perfect opportunity to celebrate our local talent. With an entertainment budget that isn’t quite what it has been in past years, and a series of events that caused the festival much delay in planning, the task of coordinating entertainment felt daunting at first. Upon further considering our countless local queer performing artists and allies, the work became much more exciting. Headlining the main stage is the Providence-based and internationally touring act known as the Downtown Boys. Their radically minded punk rock music has been showcased in Rolling Stone Magazine, The New Yorker, and on “Democracy Now.” With clear messages combating transphobia and heterosexism, and avid promotion of racial justice and immigrant rights, the band was a clear choice to headline the socially conscious and LGBTQ-focused festival. Other main stage happenings include additional musical acts such as The Fates, Baby Oil and Vulgarrity, over one dozen drag performers, and more. LuLu Locks will be the festival’s leading host throughout the day, and will be accompanied by comedian John Kelley and drag performers Jacqueline DiMera, Vilet Laboss, and Annie B. Frank. The festival also will feature two curated drag performances for the first time ever, as opposed to isolated numbers. The first will be held at 2pm, hosted by Vilet, and the second will directly follow the rally at 5pm led by Jacqueline. Not only is this the first year that each performer being featured will be a local act, it is also the first year with an additional stage. The 93.3 PrideFest acoustic stage will be on Planet Street toward the festival’s main entrance. Mx Bisexual 2017 Tammy Laforest will host the stage, which will run between Noon and 4pm. The stage will be headlined by the local folk duo Tammy & Jeana. Additional acts include singer-songwriters Kim Trusty, Jacob Haller, Michael Thomas Coney, Becca Neveu, and poets Sara Dager and Evander Wilson. Visit PrideRI.org for information regarding Rhode Island PrideFest including vendor and parade registration, and volunteer signups. To stay up-to-date on countdown events, entertainment, and special announcements please visit facebook.com/prideri.